In my work as a department head, I have to provide guidance for my staff in terms of their career growth. Unfortunately, when it comes to the topic about successful career planning, they feel that it is some big project that requires deep analyses in order for career planning to be successful. This of course, is not true. While I feel that yearly work evaluation is an important process and I consider this the ‘big project’, career success planning can have small simple steps. And it should have small simple steps. Here are my 5 small simple tips and guide for a successful career. These are steps I have used to implement with my staff yearly, which I have received positive feedback in terms of its usefulness. Yes, you have your yearly performance review. However, very often when it has reached the time for that all-important yearly review it is revealed to you that you have not meet your work expectations. What do you do then? Respond with anger and disappointment? With my staff, I implement an informal half yearly review (since my company does not have such half yearly review policy). I have heard that some companies do practice this on a formal basis. What happens here is that we use the yearly review as a guide for discussions as to where expectations were met, where are the areas of improvements and what else is needed to achieve those career goals. That way one can make adjustments before it is too late. Besides the half yearly informal review, I constantly do checkpoints with them. These are again informal sessions. In these sessions, questions such as what projects have you implemented so far, what were the successful ones, what areas of improvement you said you wanted to work at the start of the year have you been successful with, how are you doing with short-term goals, are tackled. These could be small monthly projects. Even if you cannot get your supervisor to agree with such informal process with you, you can do this on your own. Quarterly, reflect on what you have done well and what you can still improve on. What have you accomplished in the calendar year? These small steps add up to that big goal. Here, I am not talking about that formal yearly review you do with your boss. This is one where you do it on your own. Take time off to do it. Reflect on the year that has passed. Career success planning is like driving. While 95% of the time you focus on the road ahead, you need to look in your rear view mirror 5% of the time. Where are you now? Why are you here? The past year would give you the answer to these questions. How has the journey been? Was it rough or smooth? Are there any areas you would do differently as you move ahead? What were some of the corners that you did not manoeuvre well? Tips and Guide for a Successful Career #3: Really, How Have You Been? When you take time off, do not just look at your career path. This is also a good time to see if you still enjoy your job. When you do not take small steps like these to plan your career, you may end up missing the big picture. Sad but true, some people do not even realize that they do not enjoy their jobs anymore. Day-in day-out they do the same things over and over. Before they realize it, they have wasted precious time on something they no longer enjoy. When you take time off to reflect, write down the things that you enjoy about your work. What are you happy with in the office? What areas do you feel you need to change? Is your work still in line with what you personally believe in? Is it helping you achieve other goals in your life? Is it taking too much time away from your family? Be frank with the answers. It gives you a sense of the value your work brings into other aspects of your life. There is something that I do almost on a yearly basis – I ask for my staff’s resumes. Initially, most of them are surprised why such a request is being made. The reason is simple. You need to be ready with an updated resume to be ready for any opportunities that come your way. I encourage them to update their resumes yearly. This simple step allows you to reflect upon all the goals you have accomplished for the year. When you complete those important career goals or big projects, write them down. Then update your resume. Part of successful career planning also involves being up to date with your resume. That way you are ready when opportunity knocks. Tips and Guide for a Successful Career #5: What Have You Learned? Besides what you have accomplished as career goals, think about what you have learned in the past year. This is important especially when the job world has grown more competitive with time. How have you improved your skills and knowledge? What new areas of expertise have you picked up through the year? Did your company sent you to that training that they promised you? This is an example where quarterly checkpoints and half yearly informal reviews are important. It lets you plan for things like training that your company has promised you. These are 5 small steps in your career success planning that will determine how far and how fast you can achieve that big success. 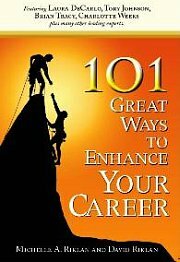 Take time to reflect and ponder on these tips and guide for a successful career.